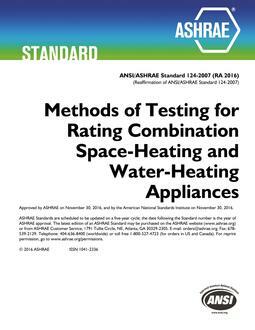 This standard provides test methods and calculation procedures for establishing the efficiencies of space-conditioning/water-heating appliances having refrigerant-to-water desuperheaters. The procedures may be used as a basis for establishing efficiency ratings for such equipment and for estimating annual energy consumption. 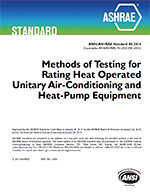 This standard covers electric, air-to-air, space-conditioning appliances that include a refrigerant-to-water desuperheater and have rated cooling capacities of less than 65,000 Btu/h. 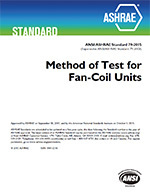 This is a revision of ANSI/ASHRAE Standard 137-1995 (RA 2004). This revision updates the references section and inserts superscript numbers in the text to refer to references. Also, the term active in Section 8.1.2 has been un-bolded so the document is consistent. Other minor editorial changes were also made.